1. On August 1st, at 06:06pm, during a motor vehicle stop in the area of 357 County Avenue for tinted windows, 26yo female from Newark NJ, Jesenia T Nazario was arrested. Nazario was charged with Possession of CDS, specifically marijuana and a motor vehicle summons for having tinted windows. Nazario was processed and released. 2. On August 2nd, at 01:16pm, during a motor vehicle stop in the area of Humboldt Street & Paterson Plank Road for use of cell phone while driving, 28yo male from Englewood NJ, Luis A. Uribe-Valencia was arrested. Uribe-Valencia was said to have an active warrant out of Secaucus in the amount of $104.00. Uribe-Valencia posted his bail and he was released with a motor vehicle summons for using a cell phone while operating a motor vehicle. 3. On August 2nd, at 02:32pm, during a motor vehicle stop in the area of Route 3 West for careless driving, 39yo male from Newark NJ, Javier Gonzalez and 29yo female from Jersey City NJ, Samantha M. Connelly were arrested for active warrants. Gonzalez was said to have a warrant out of East Orange in the amount of $550.00. Connelly had an active warrant out of Guttenberg in the amount of $500.00. Connelly was charged with motor vehicle summonses consisting of Careless driving, unlicensed driver, and driving while suspended. 4. On August 3rd, at 01:39am, Roselle Park PD had in their custody, 25yo female from Paterson NJ, Latoya Cross. Cross was said to have two active warrants; a warrant out of Secaucus in the amount of $500.00 and an active warrant out of Garfield with a no bail option. Cross was remanded to the Hudson County Jail. 5. On August 3rd, at 08:19am, during a motor vehicle stop in the area of Route 3 East in Secaucus, 53yo male from North Bergen NJ, Julio O. Romero was arrested. Romero was said to have an active warrant out of Union City NJ in the amount of $175.00. Romero’s bail was posted and he was released with a motor vehicle summons for careless driving. 6. On August 3rd, at 11:10am, Officers arrested 25yo male from Secaucus NJ, Christian S. Reyes for Receiving Stolen Property. Reyes was arrested after he was stopped operating a stolen 2015 Chrysler 300 in the area of County Avenue. Reyes was issued a bail of $50,000.00 with a 10% option. He was also issued motor vehicle summonses consisting of Driving while suspended/Unlicensed driver. 7. On August 3rd, at 08:01pm, Officers arrested 56yo male from Newark NJ, Willie C. Scott in the Secaucus Municipal Court. Scott was said to have an active warrant out of New York State for the offense of flight/escape. Scott was remanded to the Hudson County Jail after being charged with being a Fugitive from Justice with a no bail option. 8. On August 3rd, at 11:47pm, at the Walmart, Officers arrested 36yo male from Belleville NJ, Michael Liopis. Liopis was allegedly shoplifting Red Bulls energy drinks, cereal boxes, and paper towels (Unk. Value). Liopis had two active no bail warrants out of North Bergen. Walmart did not sign any charges against Liopis, however he was subsequently released to North Bergen PD. 9. On August 4th, at 01:46pm, Officers arrested 47yo male from Secaucus NJ, Jose A. Rosario. Rosario allegedly forget his backpack at the Secaucus Construction Department. The backpack contained suspected marijuana and drug paraphernalia. Rosario was charged with Possession of CDS and Possession of CDS Paraphernalia and released on a summons. 10. On August 5th, Seaside Heights PD had in their custody 30yo male from Toms River NJ, Derek C Leighton on an active warrant out of Secaucus in the amount of $2,500.00. Leighton was arrested and remanded to the Hudson County Jail. 11. On August 6th, at 04:17pm, during a motor vehicle accident investigation involving two vehicles, 67yo male from Lodi NJ, Ricky Rivera was arrested. Rivera was charged with DWI and Reckless Driving. 12. On August 6th, at 05:27pm, at the Walmart, Officers arrested 27yo male from Queens NY, Pandele Harna. Harna was charged with Theft by Deception after he allegedly tried to scam a cashier by using a “short change” scheme. Harna’s bail was set at $20,000.00 with a 10% option. Harna’s bail was posted and he was released pending a court appearance at CJP in Jersey City. 13. On August 7th, at 03:16pm, at the Walmart, Officers arrested 33yo male from East Orange NJ, Brian Durant. Durant was allegedly shoplifting an X-Box game console valued at $418.92. Durant was said to have used a Alpha S3 Hand key magnet/box cutter to commit the shoplifting. Durant was charged with Shoplifting, Burglar Tools, and Possession of Anti-Shoplifting Device. Durant was processed and released pending a court appearance at CJP in Jersey City. 14. On August 8th, at 03:24, at the Marshalls Department Store, Officers arrested 24yo male from Lyndhurst NJ, Gary R. Melnick Jr. and 29yo male from Lyndhurst NJ, Gregory J. Latino for Shoplifting. Both were allegedly shoplifting $89.98 worth of bed sheets. Melnick Jr. was processed and released on a summons. Latino was said to have an active warrant out of Clifton in the amount of $600.00. Latino’s bail was set at $2,500.00 with a 10% option. Latino’s bail was posted and he was released. 15. On August 10th, at 02:48pm, at the Walmart, Officers arrested 53yo male from Newark NJ, Angel R Colmenares. Colmenares was allegedly shoplifting an LG 49” Television and a phone charger, both valued at a total of $352.88. Colmenares was processed and released pending a court appearance at CJP in Jersey City. 16. On August 12th, at 01:00am, Bayhead Police Dept. had in their custody 39yo male from Jersey City NJ, Thomas Dobles. 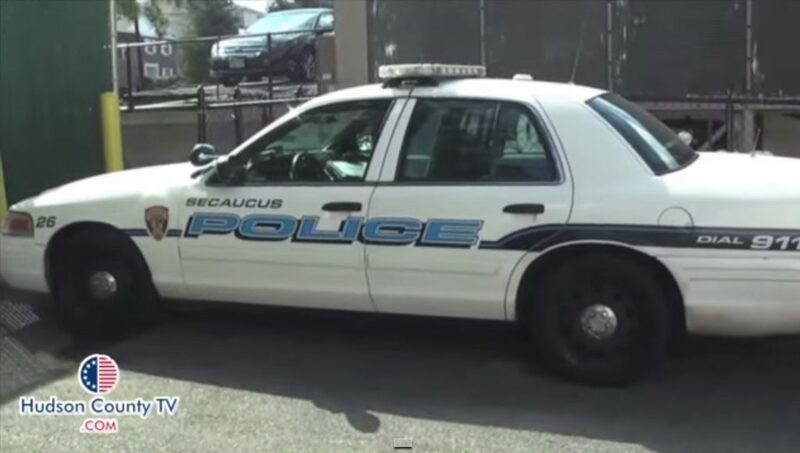 Dobles was said to have an active warrant out of Secaucus in the amount of $1,000.00. Additionally, Dobles had an active warrant out of Jersey City in the amount of $100.00. Dobles was arrested and remanded to the Hudson County Jail.